Preliminary reports regarding the Amtrak Cascades derailment indicate that excessive speed was likely the cause of the accident. Sources say that the recommended speed limit for the curve. However, some passengers reported that they believed that the train struck an obstruction on the track. ?Should Amtrak derailment victims speak with news media reporters? ?Where did the Amtrak Cascades train derailment take place? ?What Is The Probable Cause Of The Amtrak Cascades Accident? 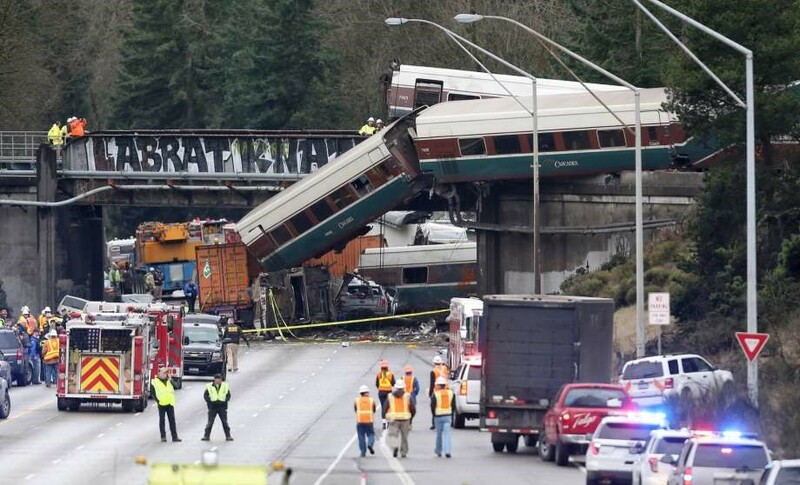 ?Who is legally responsible for the Amtrak Cascades train derailment disaster?